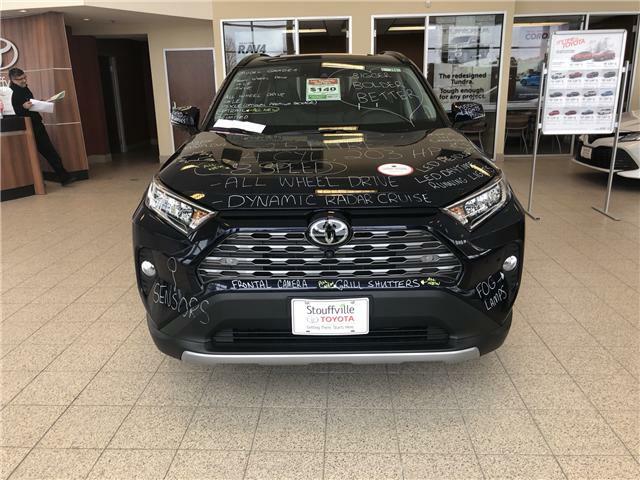 Take a look at this 2019 Toyota RAV4 Limited. 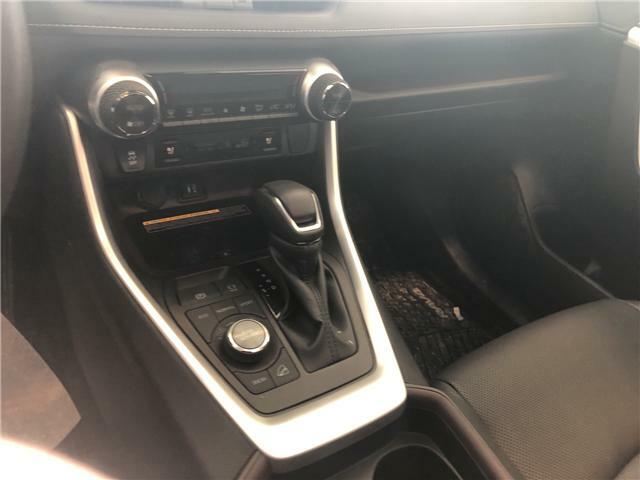 This SUV has an automatic transmission and is powered by a 2.5L I4 16V PDI DOHC engine. Motivated by that spritely motor it gets 9.2 L/100 km in the city and uses just 7.1 L/100 km out on the highway according to Transport Canada. 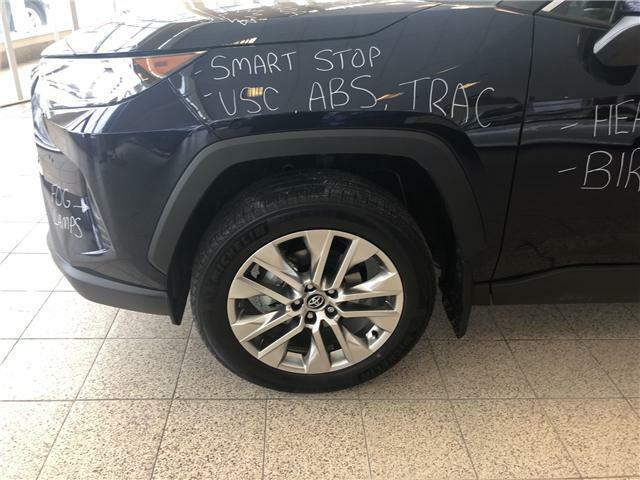 Our RAV4's trim level is AWD LTD. This top shelf Limited trim is all wheel drive and comes with more luxury than you can imagine. Leather and SofTex ventilated and heated power seats with driver memory setting, sunroof, heated leather steering wheel with audio controls, voice controls, power driver seat, dual zone automatic climate control, a smart key with push button start, fog lamps, rain sensing wipers, power windows, rear privacy glass, rear window defroster, acoustic windshield, a bird's eye monitor, ambient lighting, wireless charging, a hands free power liftgate, and a smart key with push button start and keyless entry make this ride feel like a 5 star hotel. 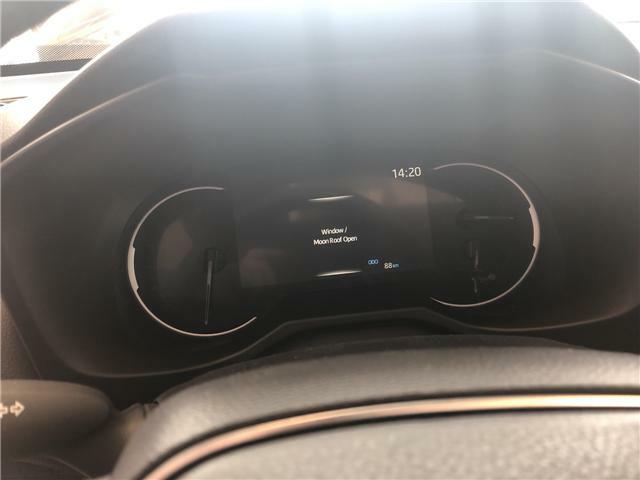 For connectivity you get the upgraded 8 inch display with navigation, USB and aux inputs, Entune App Suite Connect, Apple CarPlay, Bluetooth, and a premium JBL 9 speaker sound system. With all that comfort and connectivity you get a host of features keeping you safe: an impressive array of airbags, LED daytime running lights and rear lamps, foldable heated power mirrors with integrated turn signals, automatic highbeams, puddle lamps, intelligent clearance sonar, downhill assistance, blind spot monitoring with rear cross traffic alert, a pre collision system with pedestrian and bicycle detection, adaptive cruise control, and lane keep assist with lane and road departure warning. 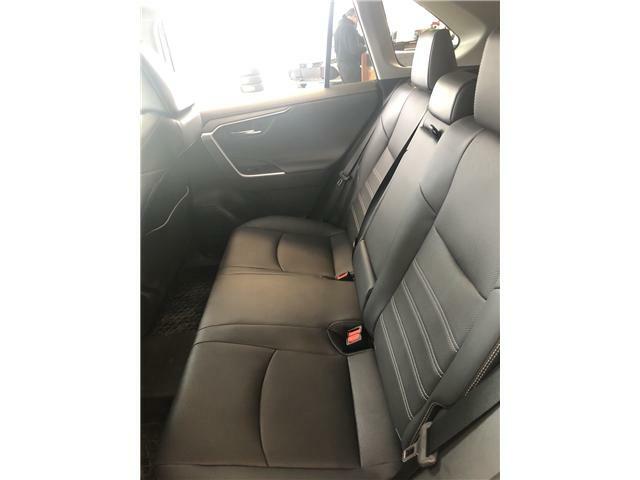 This vehicle has been upgraded with the following features: Leather Seats, Sunroof, Cooled Seats, Wireless Charging, Leather Steering Wheel, Heated Steering Wheel, Power Tailgate. 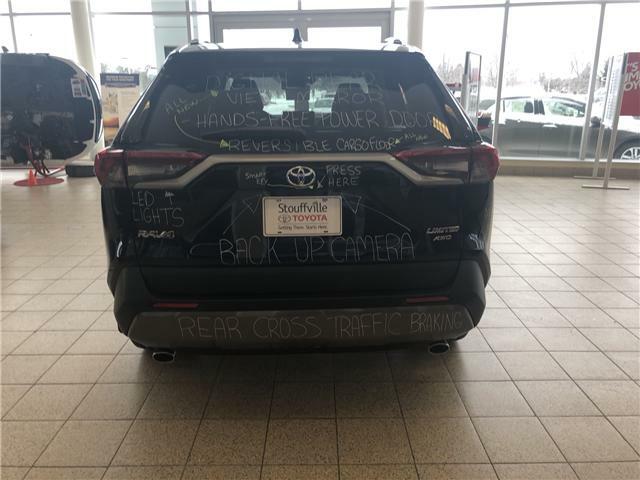 If you are interested in this SUV then be sure to call us at (905)-642-6688 to book a test drive or to come check out this SUV .